PANASA has been producing Kraft paper since 1968. Throughout the years the company has increased its production, installed new equipment and optimized fiber control and preparation processes. 50 years later, it can produce 18 times more paper, with annual production volumes exceeding 180,000 metric tons. The organic contamination present in the PANASA’s wastewater stream will be converted to biogas by GWE’s ANUBIXTM – T Expanded Granular Sludge Bed (EGSB). “ANUBIX™-T reactors are designed with a focus on minimal maintenance and operational requirements. 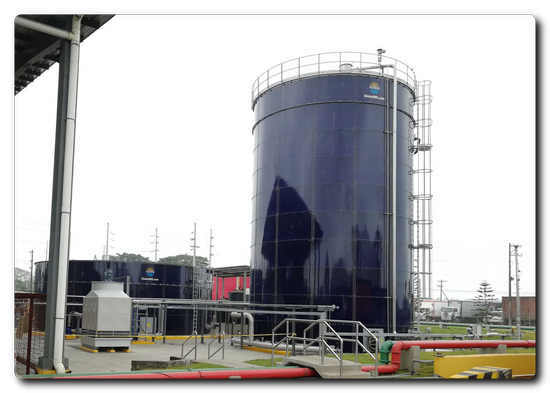 Their tower-like design also saves a significant amount of space compared with other wastewater treatment plant designs,” says GWE, which has more than 400 high-efficiency wastewater treatment projects in 64 countries. GWE recently rebranded from Global Water Engineering to reflect a growing focus on green energy generation. “The high efficiency of the wastewater treatment system helps to reduce the environmental footprint of forward-thinking companies like PANASA,” says GWE. The savings produced by replacing fossil fuels will ultimately cover the entire cost of the wastewater treatment plant and then go on producing profit virtually in perpetuity, says GWE. GWE’s ANUBIX™-T, including auxiliary equipment and tanks, was chosen after a thorough supplier selection process. GWE’s new waste-to-energy technologies will be incorporated into PANASA’s existing aerobic wastewater treatment facilities as a turn-key project. “Selection of the ANUBIX™-T turn-key solution is a testament to the engineering ingenuity of the system, and the hard work of the entire GWE team in making sure all of PANASA’s needs were met,” says GWE. GWE’s ANUBIX™-T can be used for the anaerobic treatment of wastewater streams in a broad range of applications, including breweries, soft drinks and other beverages production, paper mills, starch production, and many others. ANUBIX™-T is an ultra-high loading-rate system utilizing expanded granular sludge bed technology. It is suitable for high-strength wastewaters with organic content up to 15,000 mg/l. GWE has ANUBIX™-T installations in several countries globally, where the generated biogas is often used to power boilers, or sold back to the grid for a profit. At the project design phase, additional provisions can be implemented for pre-settling of solids, heating, cooling, CO2 degasification, and inline neutralization, to customize the installation to suit unique requirements. The ANUBIX™-T reactor is capable of handling very high loading rates of up to 25 kg COD/m³/d, depending on the type of wastewater. The smallest, lightest and most-modern charge measuring systems for the wet-end in paper and board production are the CAS touch! and the FPA touch! These instruments are used to measure the interaction between particles or fibers with additives and process chemicals in the pulp suspension. The use of both instruments in the production process helps to optimize the utilization of chemicals with the target to stabilize the process, to improve the product quality and to reduce costs. Old Point Elementary students and officers from York County Sheriff’s Department and Rock Hill Police exchanged handwritten letters for six months. Domtar employees host event for them to meet face-to-face for the first time. Domtar Corporation announced that employee volunteers from the company’s converting facility in Rock Hill, SC visited Old Pointe Elementary School to host a PaperPal™ event for Fifth Grade students and local York County Sheriff’s Department and Rock Hill Police officers. The PaperPal program brings generations together through handwritten letters. The officers and students exchanged letters for six months and met in person for the first time today. Research shows that handwriting has tremendous neurological benefits for the developing minds of young children, and it is an effective way to communicate on a more emotional level. Domtar makes a wide variety of every day products from sustainable wood fiber, and it is one of the world’s largest producers of uncoated freesheet papers, as well as a complete line of absorbent hygiene solutions. The company’s Rock Hill converting facility employs 50 people in the local community. “The PaperPal program was a great way for our officers to meet students on a personal level and let them know that we care and we’re here to protect them,” said Kevin R. Tolson, York county sheriff. Domtar started the PaperPal program in 2015 with a school and retirement community in Van Nuys, Calif. The idea, chronicled in a short video, was so successful that the groups wanted to continue writing letters even after the initial two-month program officially ended. “Besides the educational and cognitive benefits of PaperPal, we are excited to see how this program sparks smiles and hugs for both children and adults,” said Michelle Osborne, Domtar Rock Hill’s administrative coordinator. Experts at Indiana University conducted brain scans on pre-literate children to determine whether printing letters, tracing them or typing is the most effective method in the learning process. The children tried each method, and then received a functional MRI scan in a device designed to look like a spaceship. The results? If children wrote by hand, the experts saw neural activity in three areas of the brain that was far more enhanced. These areas get activated in adults when they read and write. A study in the Journal of Cognitive Neuroscience shows how hand-writing can help adults learn new symbols – anything from music notes to Mandarin. Researchers found that if adults wrote the symbols, there was a stronger, longer-lasting recognition. Good handwriting can play a role in classroom performance. It can take a generic classroom test score from the 50th percentile to the 84th percentile, while bad penmanship could tank it to the 16th, said an education professor at Vanderbilt University. Handwriting can be a useful cognitive exercise for baby boomers trying to keep their minds sharp as they grow older, according to a neuroscientist at Duke University. Children in grades two, four and six wrote more words, faster, and expressed more ideas when writing essays by hand instead of with a keyboard, according to a study by a University of Washington professor of educational psychology. Domtar is a leading provider of a wide variety of fiber-based products including communication, specialty and packaging papers, market pulp and absorbent hygiene products. With approximately 10,000 employees serving more than 50 countries around the world, Domtar is driven by a commitment to turn sustainable wood fiber into useful products that people rely on every day. Domtar’s annual sales are approximately $5.5 billion, and its common stock is traded on the New York and Toronto Stock Exchanges. Domtar’s principal executive office is in Fort Mill, South Carolina. To learn more, visit www.domtar.com. Clearwater Paper Corporation (NYSE: CLW) has just introduced NuVo®, a new brand of cup stock paperboard that provides foodservice operators choice and differentiation through customized material to fit their specific brand needs. The newly-branded cup stock paperboard is now available to Clearwater Paper’s customers. NuVo is distinct, offering an option of up to 32% post-consumer recycled fiber. Operators may also choose an enhanced surface technology which offers uniform and consistent ink coverage, a premium white shade and a high definition process print capability. The brand also offers Forest Stewardship Council (FSC®) chain of custody certification which helps operators show their commitment to sustainability. NuVo is a brand promise that Clearwater Paper intends to continually evolve to provide customers innovative choices to maximize differentiation and sustainability. Clearwater Paper manufactures quality consumer tissue, away-from-home tissue, parent roll tissue, bleached paperboard and pulp at manufacturing facilities across the nation. The company is a premier supplier of private label tissue to major retailers and wholesale distributors, including grocery, drug, mass merchants and discount stores. In addition, the company produces bleached paperboard used by quality-conscious printers and packaging converters, and offers services that include custom sheeting, slitting and cutting. Clearwater Paper's employees build shareholder value by developing strong customer relationships through quality and service. Solenis has been named as one of only 12 winners in the NextGen Cup Challenge, a global innovation competition backed by giants of the food-service industry to redesign and create a widely recyclable and/or compostable fiber hot and cold to-go cup. The Challenge attracted nearly 500 entries from more than 50 countries. Solenis received the award in the Innovative Cup Liners category for its TopScreen™ recyclable and compostable barrier coatings technology. Solenis TopScreen barrier coatings are suitable for packaging applications that require specific liquid/moisture vapor barrier properties and can replace barriers composed of polyethylene (PE). In the same family are formulations designed to replace perfluorocarbon (PFC) in a variety of applications where grease resistance and moisture vapor barrier properties are required. 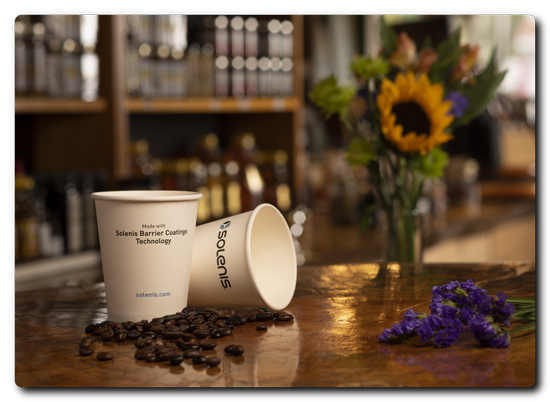 Solenis TopScreen™ recyclable and compostable barrier coatings technology replaces plastic liners for fiber to-go cups. TopScreen formulations are produced with a minimum or no fossil fuel components and a maximum of sustainably sourced raw materials. Ideal as a more sustainable and cost-effective barrier option for PE-free cups, Solenis TopScreen barrier coatings can be used to produce fully recyclable and repulpable paper and paperboard packaging. TopScreen barrier coatings can be applied on paper machine coaters or offline coating equipment, providing flexibility for cup makers and utilization of existing cup-making equipment. As a truly global materials supplier, Solenis is uniquely positioned to implement the TopScreen barrier coating solution for paper cups anywhere in the world. More than 250 billion fiber to-go cups are used annually. The PE lining that keeps them from leaking also prevents them from being recycled or composted. Instead, they wind up in landfills or waterways, contributing to the growing plastics pollution problem. The NextGen Cup Challenge was initiated by the NextGen Consortium, a multi-year partnership of leading food-service industry players convened by Closed Loop Partners to address single-use food packaging waste globally. Solenis is a leading global producer of specialty chemicals for water intensive industries, including the pulp, paper, oil and gas, chemical processing, mining, biorefining, power and municipal markets. The company’s product portfolio includes a broad array of process, functional and water treatment chemistries as well as state-of-the-art monitoring and control systems. These technologies are used by customers to improve operational efficiencies, enhance product quality, protect plant assets and minimize environmental impact. Headquartered in Wilmington, Delaware, the company has 41 manufacturing facilities strategically located around the globe and employs a team of approximately 5,200 professionals in 120 countries across five continents. For additional information about Solenis, please visit www.solenis.com. International Paper (NYSE: IP) a world leader in renewable fiber based packaging, pulp and paper products, has been recognized by the Ethisphere Institute, a global leader in defining and advancing the standards of ethical business practices, as one of the 2019 World's Most Ethical Companies. International Paper has been recognized for thirteen consecutive years, and is one of only two honorees in the forestry, paper and packaging industry, underscoring their commitment to leading with integrity and prioritizing ethical business practices. In 2019, 128 honorees were recognized spanning 21 countries and 50 industries. The thirteenth class of honorees illustrate how companies continue to be the driving force for improving communities, building capable and empowered workforces, and fostering corporate cultures focused on ethics with a strong sense of purpose. "It is an honor once again to be included on this list and to be among companies whose principles and practices uphold the highest standards of ethics and corporate social responsibility," said Sharon Ryan, General Counsel and Corporate Secretary. "Our work does not stop inside International Paper, we expect our business partners to share our values and principles as described in our Supplier Code of Conduct. Throughout our global supply chains, we promote safe and healthy working conditions; high ethical standards; protection of human rights and dignity; responsible use of natural resources and compliance with all applicable laws." "Today, employees, investors and stakeholders are putting their greatest trust in companies to take leadership on societal issues. Companies that take the long view with a purpose-based strategy are proven to not only outperform but last," said Ethisphere's Chief Executive Officer, Timothy Erblich. "I congratulate everyone at International Paper for earning this recognition." The full list of the 2019 World's Most Ethical Companies can be found at https://worldsmostethicalcompanies.com/honorees. Best practices and insights from the 2019 honorees will be released in a report and webcast in March and April of this year. Sign up to receive the report. International Paper (NYSE: IP) is a leading global producer of renewable fiber-based packaging, pulp and paper products with manufacturing operations in North America, Latin America, Europe, North Africa, India and Russia. We produce corrugated packaging products that protect and promote goods, and enable world-wide commerce; pulp for diapers, tissue and other personal hygiene products that promote health and wellness; and papers that facilitate education and communication. We are headquartered in Memphis, Tenn., employ 53,000 colleagues and serve more than 25,000 customers in 150 countries. Net sales for 2018 were $23 billion. For more information about International Paper, our products and global citizenship efforts, please visit internationalpaper.com. 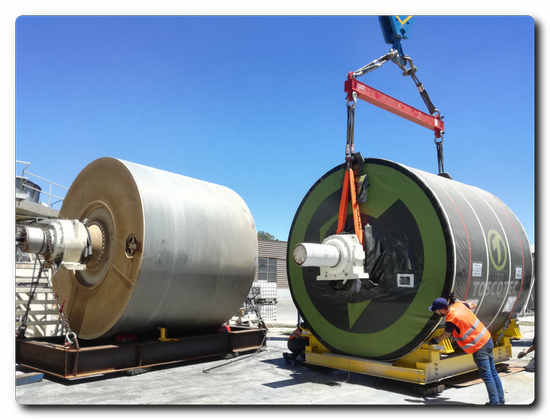 Papelera del Plata, part of CMPC Tissue Latam group, fired up a TT SYD-12FT supplied by Toscotec. The new TT SYD is installed on PM3 at Papelera del Plata - Zarate mill in Argentina. This is a repeated order for Toscotec, who in 2010 fired up another TT SYD at CMPC Tissue’s Industria Papelera Uruguaya SA in Uruguay. These TT SYD replaced two existing Steel Yankee dryers supplied by another manufacturer. The new TT SYD-12FT features a diameter of 3,660 mm and a face width of 2,800 mm. The scope of supply includes Toscotec’s patented deckle insulation system, which allows for safe and practical application of the deckle insulation on the Yankee’s heads without any machining, the drive group, support and bearings, and the main components of the steam and condensate system. The service package included the engineering design, installation supervision, commissioning and start-up assistance, as well as onsite training program. CMPC is one of the biggest pulp and paper producer in Latin America, with industrial operations in eight countries. Its products range from wood products, pulp, packaging paper and tissue and are marketed in 45 countries worldwide. CMPC uses fibres originating from sustainable, certified plantations and recycled materials, and has an annual tissue capacity of 700,000 tonnes. WestRock Company has just announced that it has been named to FORTUNE magazine’s annual list of World’s Most Admired Companies for the fourth consecutive year. WestRock ranked second among companies in the packaging and container industry. The World’s Most Admired Companies survey measures nine attributes considered critical to a company’s global success, from investment value and quality of management and products to social responsibility and people management. A company’s score must rank in the top half of its industry survey to be listed. The list, widely considered to be the definitive report card on corporate reputation, is based on company surveys and peer ratings from senior executives, directors and analysts. The full list appears in the February issue of FORTUNE and is available now at http://fortune.com/worlds-most-admired-companies/ and on newsstands. "This recognition reflects the exceptional talent and commitment of International Paper's 52,000 employees around the globe," said Mark Sutton, chairman and chief executive officer. "We work with the world's leading brands to make products that improve peoples' lives and we mobilize our people, products and resources to address critical needs in the communities where our employees live and work. I want to thank our global team members for this well-deserved achievement." Domtar Corporation has announced two well-qualified leaders to manage its Kingsport, Tennessee and Nekoosa, Wisconsin, mills. Fabio Perini Brazil, a branch of Fabio Perini S.P.A., a leading global supplier of machinery and services for tissue converting and packaging, gained a place of honor in the authoritative ranking of US Institute “Great Place to Work® Certified” which since the ‘90s has been implementing the worldwide ranking of the best places of work all over the globe. Fabio Perini Brazil gained 11th place in the regional ranking of mid-range companies. The mission of the Great Place to Work Institute is evaluating companies’ working conditions and management of service suppliers. Through employee and employers’ surveys, the people management, the workplace and the employees’ confidence are evaluated, and a ranking is elaborated on the basis of indicators of credibility, respect, impartiality, pride to belong. 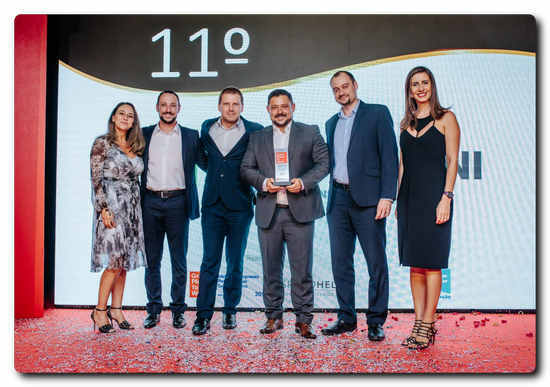 “I wish to congratulate everybody for this achievement – commented Dineo Silverio, Company President for Brazil and South America - People are what makes the difference in growing a business. A high level of internal satisfaction reflects itself automatically in the satisfaction of the customers in our market. Employee management is a strategic factor for the evolution of our business, because the satisfaction to be working for a company translates into greater efficiency and better quality of the final product”. This important milestone confirms the high quality of Fabio Perini S.p.A., which enters with full rights in the international community of the “Great place to work” certified companies. Resolute Forest Products Inc.has just announced that, on December 31, 2018, it completed the previously disclosed sale of the Catawba, South Carolina, paper and pulp mill to New-Indy Containerboard, LLC ("New-Indy"), pursuant to the terms of the asset purchase agreement dated October 2, 2018. The total purchase price of about $300 million consists of $260 million in cash, before customary closing adjustments, and the assumption of approximately $40 million of balance sheet liabilities, largely net pension benefit obligations. "We are pleased to have completed the sale of the Catawba mill to New-Indy and wish the new team every success with its investment in the diversification of the mill's operations," stated Yves Laflamme, president and chief executive officer of Resolute. "We want to thank our employees for their hard work and dedication toward this successful outcome, and are pleased that the community will continue to benefit from the mill's economic and social impact." As previously disclosed, Resolute has agreed to use the majority of the proceeds from the asset sale to repurchase $225 million of its 5.875% Senior Notes due in 2023, thereby improving financial flexibility. TM Capital Corp. acted as Resolute's financial advisor on the transaction, while Akerman LLP and Troutman Sanders LLP acted as Resolute's legal counsels. 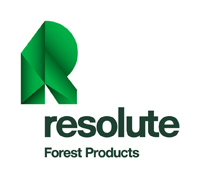 SOURCE Resolute Forest Products Inc.
International technology Group ANDRITZ has received an order from Melhoramentos Florestal to supply a high-consistency bleaching and wet lap system with a capacity of 125 admt/d to upgrade the existing thermo ground wood line at Fazenda Levantina Camanducaia, Minas Gerais, Brazil. Start-up is scheduled for the third quarter of 2019. The line processes eucalyptus and pine as raw material to produce unbleached and bleached market thermos ground wood pulp for local board and tissue producers. The new PHC (peroxide high consistency) bleaching stage will replace the existing spray-bleaching system in the dewatering machine and achieve highest brightness levels at lowest consumption of chemicals. A universally applicable and reliable ANDRITZ Twin Wire Press will be installed to dewater pulp to a dryness of up to 33%, followed by a high-consistency mixer to guarantee gentle blending of pulp and chemicals. 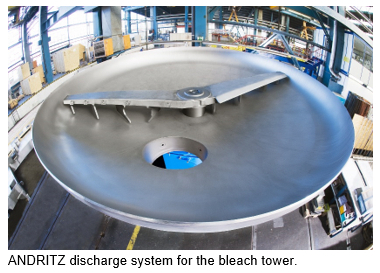 In order to achieve even retention time in the bleach tower, a new ANDRITZ discharge system will ensure continuous and uniform pulp discharge. A complete wet lap system and finishing line are also part of the scope of supply. After dewatering to a consistency of 45% on another ANDRITZ Twin Wire Press, a wetlap cutter and layboy (CLB) will operate fully automatically to form wet bale stacks. The finishing line consists of various pallet conveyors. With this upgrade, Melhoramentos Florestal will be able to increase pulp production and, in particular, bleaching efficiency by means of a safe process with low energy consumption that will allow greater flexibility in producing various pulp grades – an important feature with which to approach a wider range of end customers. ANDRITZ Pulp & Paper is a leading global supplier of complete plants, systems, equipment, and comprehensive services for the production and processing of all types of pulp, paper, board, and tissue. The technologies cover processing of logs, annual fibers, and waste paper; production of chemical pulp, mechanical pulp, and recycled fibers; recovery and reuse of chemicals; preparation of paper machine furnish; production of paper, board, and tissue; sizing, calendering and coating of paper; as well as treatment of reject materials and sludge. The service offering includes system and machine modernization, rebuilds, spare and wear parts, on-site and workshop services, optimization of process performance, maintenance and automation solutions, as well as machine relocation and second-hand equipment. Biomass, steam and recovery boilers for power production, gasification and flue gas cleaning plants, systems and plants for the production of nonwovens, dissolving pulp, and panelboard (MDF), as well as recycling and shredding solutions for various waste materials also form a part of this business area. Following a major rebuild of the dryer section supplied by Toscotec with the installation of TT SteelDryers, Cascades Packaging fired up its PM1 at Kingsey Falls mill, Canada. The machine was started up on schedule on September 23rd, with the support of Toscotec’s service engineers, who also provided the commissioning and the erection supervision onsite. Toscotec implemented an efficient rebuild aimed to achieve the highest production increase with the lowest possible impact on the existing machine. Toscotec customized its engineering design in order to efficiently integrate its new dryer section into the existing equipment. The project was completed in record time and maintaining the overall length of the dryer section and the width of the dryers’ frame. Mathieu Gendron, Mill Manager of Cascades Kingsey Falls, says, “Toscotec delivered the project according to the tight schedule we agreed upon. After start-up, we are seeing a promising increase in the production and we are confident that it will match the project targets”. Fabrizio Charrier, Toscotec’s P&B Area Sales Manager, comments, “we are happy to see that the first results after start-up indicate that we will achieve the project’s target of 8% production increase. This is a very significant result, especially if you consider that the scope of the rebuilding was reduced to a minimum, in order to limit shutdown and construction costs”. Established in 1964, Cascades produces, converts and markets packaging and tissue products that are composed mainly of recycled fibers. The Company employs 11,000 employees, who work in more than 90 production units located in North America and Europe. With its management philosophy, half a century of experience in recycling, and continuous efforts in research and development as driving forces, Cascades continues to deliver the innovative products that customers have come to rely on. Valmet has expanded the operations of its service center in Sorocaba, Brazil, to include comprehensive spreader roll services. 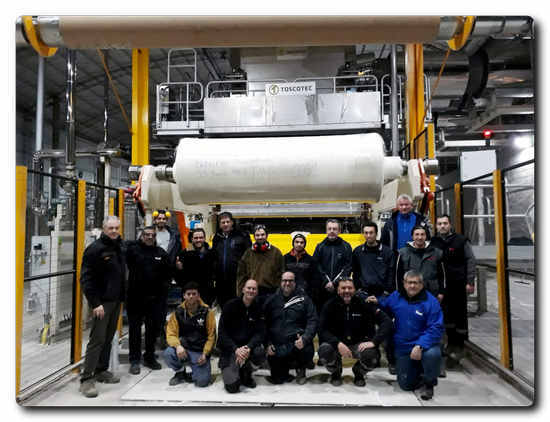 The new spreader roll workshop is ready to serve customers in the pulp, paper, board and tissue industries as of November 2018. "With this investment Valmet is able to offer spreader roll services for its customers in all continents. We have already got very positive feedback from our Brazilian customers for these services," says Jukka K. Toikkanen, Global Technology Manager, Roll Maintenance, Valmet. "Our state-of-the-art spreader roll service workshop in Sorocaba, provides high quality and fast services to our customers. We have invested in a separate dust-free clean room for the handling and installation of bearings, which ensures high quality and contributes to longer roll running times." Valmet's roll service center in Sorocaba, Brazil provides modular maintenance solutions such as roll maintenance services, roll reconditioning services and roll upgrades for all type of rolls - now also for spreader rolls. Valmet is constantly expanding its services offering close to customers all around the world, by providing services from own service centers, on site and through the help of Industrial Internet applications and remote connections. In addition to Sorocaba, Valmet provides spreader roll services from seven other locations around the world. International technology group ANDRITZ has received an order from Celulosa Arauco y Constitución S.A. to supply energy-efficient and environmentally friendly pulp production technologies and key process equipment for modernization and extension of the ARAUCO pulp mill in Horcones, Arauco, Chile. The order value for ANDRITZ is in the region of 300 million euros; start-up is scheduled for the first quarter of 2021. A complete wood processing plant with three debarking and chipping lines, one chipping line for forest-debarked wood, chip storage with stacker-reclaimer blending bed system, chip screening, bark handling with BioCrushers, and is completed with HQ-Press bark presses that increase dryness of the bark and consequently the energy efficiency and production of the bio mass boiler. Eucalyptus is debarked at a rated capacity of 360 m3/h solid over bark per line using RotaBarker technology, which provides excellent debarking results with very low wood losses. The chipping process uses horizontally fed HHQ-Chippers, ensuring high capacity (400 m3/h solid under bark) without compromising on chip quality. The operation is supported further by SmartWoodyard products like the advanced decision support information system, ChipperEKG and CrusherEKG condition monitoring systems, and ScanChip chip analyzers for chip quality measurements. A complete fiberline with a capacity of 4,700 admt/d bleached pulp, including Lo-Solids continuous cooking with TurboFeed chip feeding system, brown stock washing with multistage DD-Washers, 2-stage oxygen delignification followed by deknotting, screening, and multistage DD-Washers. Bleaching is based on proven upflow reactor technology and washing is performed with DD-Washers after every stage, all contributing to low chemical consumption, high-quality pulp, and low environmental emissions. An energy-efficient black liquor evaporation plant with a high capacity of 1,750 tons/hour. The plant will have a 7+ Effects heat economy system and concentrate black liquor to the high dry solids content of 80% for efficient combustion in the recovery boiler. The plant is equipped with the latest of ANDRITZ’s innovations in secondary condensate quality enhancement for 100% reuse in other departments of the mill. The scope also includes a tank area and methanol liquefaction system. ANDRITZ’s lamella technology and the unique process solution for scaling control reduces washing needs, ensuring minimum plugging of heat surfaces and good cleanability, which results in high availability and increases the overall production and efficiency of the plant. 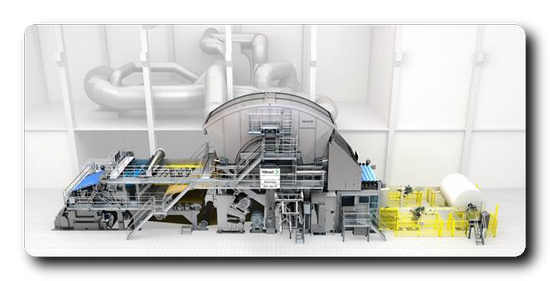 Complete white liquor plant, including efficient green liquor filtration with LimeGreen filters – producing clean green liquor and minimizing waste to landfill, white liquor filtration with LimeWhite filter – maximizing the white liquor quality, and efficient lime mud filtration with two LimeDry filters providing high dry solids content and low residual alkaline. The capacity of the recaustizicing plant is 15,300 m3/d. The delivery also includes two lime kilns (capacity 700 t/d each) with low heat consumption and low emissions to meet Arauco’s tight emission permits. “During the sales phase, we assessed the capabilities of the company and ANDRITZ demonstrated its competence, commitment and professionalism. Congratulations to the whole ANDRITZ team, who have worked hard, efficiently, and with passion and professionalism for this outcome. We are just starting, but I am sure this will be a great project for all concerned,” says Franco Bozzalla, Senior VP Pulp and Energy at ARAUCO. The MAPA project will renew and increase ARAUCO’s efficiency and pulp production, and in addition, it will strengthen ARAUCO’s competitiveness and leadership in global markets. ANDRITZ is a globally leading supplier of plants, equipment, and services for hydropower stations, the pulp and paper industry, the metal working and steel industries, and for solid/liquid separation in the municipal and industrial segments. Other important fields of business are animal feed and biomass pelleting, as well as automation, where ANDRITZ offers a wide range of innovative products and services in the IIoT (Industrial Internet of Things) sector under the brand name of Metris. In addition, the international technology Group is active in power generation (steam boiler plants, biomass power plants, recovery boilers, and gasification plants) and environmental technology (flue gas cleaning plants) and offers equipment for the production of nonwovens, dissolving pulp, and panelboard, as well as recycling plants. A passion for innovative technology, absolute customer focus, reliability, and integrity are the central values to which ANDRITZ commits. The listed Group is headquartered in Graz, Austria. With over 160 years of experience, 29,000 employees, and more than 280 locations in over 40 countries worldwide, ANDRITZ is a reliable and competent partner and helps its customers to achieve their corporate and sustainability goals. WestRock Company (NYSE: WRK), a leading provider of differentiated paper and packaging solutions, today provided updated information on the impact of Hurricane Michael on its containerboard and pulp mill located in Panama City, Florida. The Panama City area has been substantially impacted by Hurricane Michael, and the priority remains the safety and health of our employees and their families. We are pleased to report that all of Panama City mill’s employees have been accounted for and are safe. The Company is working to support our team and the community as recovery continues. As previously reported, the Company’s mill in Panama City received extensive damage from Hurricane Michael. Due to the extraordinary efforts of employees, contractors, vendors, our insurance carrier and government officials, the Company has already made substantial progress in assessing the damage and implementing required repairs to return the mill to operation. The Company expects that the linerboard production system will return to full production capacity within 30 days. Market pulp production is expected to begin by the end of November, but will likely be limited to no more than 50% of the mill’s market pulp production capacity for an estimated period of approximately six months. The mill has normal annual production capacity of 353,000 tons of linerboard and 292,000 tons of market pulp. The total cost to the Company from Hurricane Michael is currently unknown. While the Company maintains property damage and business interruption insurance coverage, there will be a time lag between the initial incurrence of costs and the receipt of insurance proceeds as the Company restores the mill back to normal operations. The Company will provide an additional update on the status of the mill on its November 5, 2018, earnings conference call. As every year, emtec Electronic will attend the ABTCP in Sao Paulo, Brazil. The exhibition takes place from October 23rd to 25th. The German producer of innovative lab and online testing equipment can be found at booth no. 137/138 together with its Brazilian representative Elof Hansson. Emtec will present the state-of-the-art charge measuring systems CAS touch! and FPA touch! 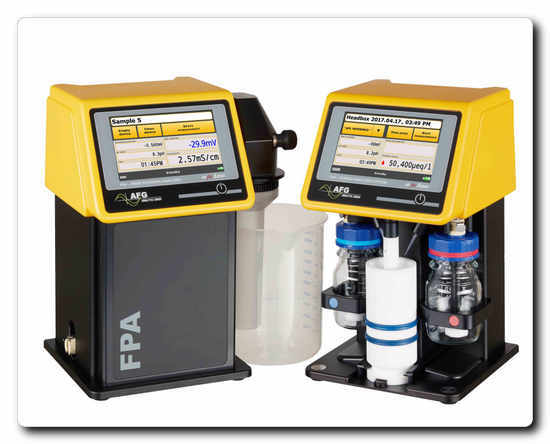 Both devices are used to optimize the wet-end process, by measuring the interaction between particles or fibers with additives and process chemicals in the pulp suspension. The use of both instruments in the production process helps to optimize the utilization of chemicals with the target to stabilize the process, to improve the product quality and to reduce costs. 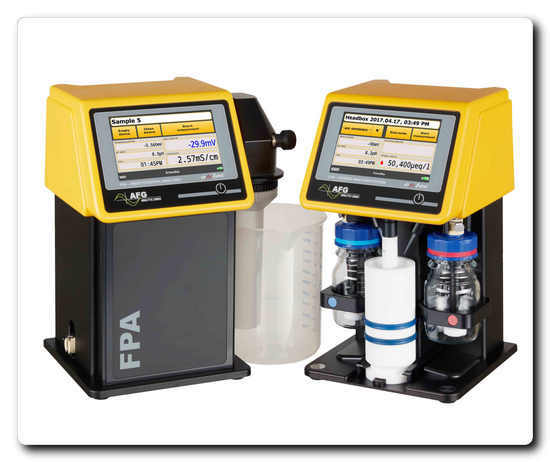 Another device that can be used in the wet-end of the tissue and paper production is the DFA – Dynamic Filtration Analyzer, which helps to determine the influence of chemicals on drainage and retention behavior. But, also producers of base and final products will find innovative measurement equipment at the booth: the well-known TSA – Tissue Softness Analyzer which is used to reliably assess the Softness, Smoothness/Roughness and Stiffness as well as the overall Hand Feel of tissue and nonwoven materials. Additionally, the EST – Surface & Sizing Tester is shown. The EST is a useful tool to determine important paper surface properties such as surface hydrophobia / sizing as well as the surface porosity, which influence printability, coatability and gluability of paper and board. Solenis, a leading global producer of specialty chemicals, has introduced a new line of imPress™ ID paper additives designed exclusively for HP Indigo digital presses. The new imPress™ ID chemistries are up to eight times more efficient at generating Indigo print adhesion. With these new additives, paper mills can efficiently and cost-effectively produce papers with a three-star rating for HP Indigo digital presses. A main benefit is improved runnability. With imPress™ ID paper additives, no changes are required to the size press or machine settings. The chemistry is non-charged, so it doesn’t form deposits, agglomerate or cause stickies-related issues. In addition, the new imPress™ ID products are exceptionally versatile and work well with optical brightening agents and other size press chemistries. “Our researchers spent a great deal of time refining this product,” said Dan Varnell, Solenis Research Fellow. “The result is an innovative chemistry that dramatically increases the performance of the paper printed on Indigo presses." In the past, polyethyleneimine (PEI) or poly(ethylene/acrylic acid) was used to promote Indigo image adhesion, but PEI resulted in yellowing issues and P(Et/AA) dispersions required special conditions. 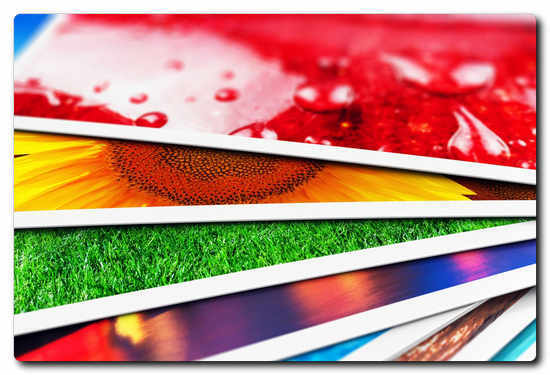 The Solenis imPress™ ID technology relies on thermodynamic attraction of the print ink to the paper treatment. Free energy drops as the ink and the treated paper interact with each other, resulting in more efficient adhesion. Currently, imPress™ ID-115 and ID-120 are available in North America, and imPress™ ID-215 and ID-220 are available in Europe. For more information about Solenis imPress™ ID paper additives and technology, visit www.solenis.com/imPress. Solenis is a leading global producer of specialty chemicals for water intensive industries, including the pulp, paper, oil and gas, chemical processing, mining, biorefining, power and municipal markets. The company’s product portfolio includes a broad array of process, functional and water treatment chemistries as well as state-of-the-art monitoring and control systems. These technologies are used by customers to improve operational efficiencies, enhance product quality, protect plant assets and minimize environmental impact. Headquartered in Wilmington, Delaware, the company has 35 manufacturing facilities strategically located around the globe and employs a team of approximately 3,700 professionals in 118 countries across five continents. For additional information about Solenis, please visit solenis.com. WestRock Company (NYSE: WRK), a leading provider of differentiated paper and packaging solutions, today provided an initial update following the landfall of Hurricane Michael and its impact on the company’s containerboard and pulp mill located in Panama City, Florida. As always, our first priority is the safety of our employees and their families. The Panama City area has been devastated by this hurricane, and we are working to support our employees and this community as the recovery begins. An orderly shut-down process was started on Monday. The mill was in the direct path of the hurricane’s landfall, and it sustained a substantial amount of damage to buildings and equipment. Our team is currently assessing the extent of the damage to the mill. At this time, we do not know when the mill will resume operations; this will depend upon the extent of the damage to our facility and the storm’s impact on local infrastructure, including available power supply, the ability of our employees to travel to the mill, and other factors. The mill has annual production capacity of 353,000 tons of linerboard and 292,000 tons of market pulp. The continued storm path is projected to traverse several states in which we have additional operations and the potential impact, if any, on these operations is unknown at this time. We will provide additional updates as more information is available, and we have fully assessed the impact to our employees, local infrastructure and the mill. As part of ROXCEL HOLDING, Brigl & Bergmeister (B&B) is now present in the U.S. with its own sales organization. Roxcel Trading is located in Greenville, SC and Portland, OR, and plans to open an Atlanta, GA office in 2019 to support the company’s growth. “The demand for our label and packaging papers is still growing," says B&B Managing Director and owner Ahmad PORKAR. "By maintaining a permanent presence at additional locations, we can shorten delivery times and transport routes, are even closer to our customers and can also further improve our local service quality. B&B is the leading manufacturer of label papers and flexible packaging papers. Annually, some 100 billion labels are printed on B&B papers, and our papers bear the face of innumerable famous brands. The Brigl & Bergmeister plant is located at the heart of Europe, in Niklasdorf in Styria | Austria. ENAGES, the thermal recycling plant of B&B, supplies the factory with 100% CO2-neutral energy in the form of steam and electricity. The Papirnica Vevče factory is situated in Slovenia, in the greater area of Ljubljana. A cooperation that had originally started as a joint venture has developed into a fully-fledged partnership. Since 2004, Papirnica Vevče has been a 100% subsidiary of Brigl & Bergmeister. Brigl & Bergmeister, ENAGES, as well as Papirnica Vevče are part of the Vienna-based Roxcel Holding. Toscotec will provide a complete plant with two AHEAD-2.0L tissue machines on a full turnkey basis to Sofidel America’s integrated plant (paper mill and converting) in Inola, Oklahoma, the second greenfield investment of the Group in the United States. The start-up is scheduled for the last quarter of 2019 for PM1 and for the first quarter of 2020 for PM2. The supply includes two AHEAD-2.0L tissue machines, equipped with second generation TT SYD and gas-fired TT Milltech-DYH Duosystem Hoods, with a high level of energy recovery. Each AHEAD-2.0L machine features a sheet trim of 5,500 mm, an operating speed of 2,000 m/min and is designed for an annual production capacity of over 80,000 tons. The supply also comprises the stock preparation equipment and accessories, Toscotec’s TT SAF (Short Approach Flow) ensuring increased operation efficiency, the Distribution Control System (DCS) and Quality Control System (QCS) and the dust and mist removal systems. The project’s turnkey scope includes the boiler plant, the compressed air station, the bridge crane, the shaft puller, the roll handling and wrapping systems, the chemical preparation system, the hall ventilation system and the water treatment system (Fresh Water Treatment Plant and Waste Water Treatment Plant). Toscotec will also provide the detailed mill engineering according to US codes and standards, the construction management, the plant and the machine erection, commissioning and start-up supervision and training programs. The two tissue lines are dedicated to the production of toilet paper and towels and will process 100% pre-dried virgin pulp. Luigi Lazzareschi, CEO of Sofidel, states: "Toscotec’s tissue lines represent an important part of our expansion plan in the US, one of the most important markets for our Group. A key technology investment for our new, integrated plant in Inola to serve the South-Central and Central-Western United States. We opted for one of the most advanced and energy-efficient technology, to help pursuing our penetration in the American market and sustaining the high quality of our products." The construction of the plant – that will combine sustainability and technological innovation – started in March 2018 and will be completed by mid-2020. Once fully operational, the new facility will employ 300 full-time workers. Since the beginning of the expansion to the United States in 2012, Sofidel has now operations in seven states: Florida, Mississippi, Nevada, Ohio, Oklahoma, Pennsylvania and Wisconsin. 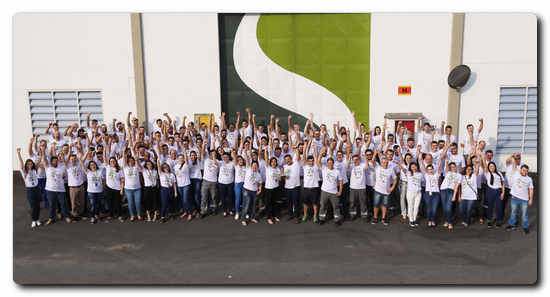 Sofidel is a family-run company owned by Stefani and Lazzareschi families, and is the second biggest player in Europe today, and the sixth worldwide in tissue paper manufacturing, with net sales of 1,947 million USD (2017) and a production capacity of over one million tonnes per year (1,098,000 tonnes in 2017). "We are honoured to have been selected for such an important investment by Sofidel. And even more so, this project represents the joint effort of two Lucca-based Italian companies who set out to succeed in the USA. I know that we have already achieved important synergies and I firmly believe that working together for a shared expansion target will lead to a successful outcome," says Alessandro Mennucci, CEO of Toscotec. The Sofidel Group is one of the leading manufacturer of paper for hygienic and domestic use worldwide. Established in 1966, the Group has subsidiaries in 13 countries – Italy, Spain, the UK, France, Belgium, Germany, Sweden, Poland, Hungary, Greece, Romania, Turkey and the USA - with more than 6,000 employees, net sales of 1,724 million Euros (2017) / 1,947 million USD (2017) and a production capacity of over one million tonnes per year (1,098,000 tonnes in 2017). “Regina”, its most well-known brand, is present on almost all the reference markets. Other brands include: Softis, Le Trèfle, Sopalin, Nouvelle, Thirst Pockets, KittenSoft, Nalys, Cosynel, Yumy, Soft & Easy, Volare, Onda, Lycke, Forest, Nicky, Papernet. A member of the UN Global Compact and the international WWF Climate Savers program, the Sofidel Group considers sustainability a strategic factor with regards to growth and is committed to promoting socially and environmentally responsible development. Sofidel America is a subsidiary of the Sofidel Group. It was established in 2012 through the acquisition of the Cellynne tissue company which was founded in 1988 with two converting plants in Green Bay (Wisconsin) and Henderson (Nevada), and one integrated plant in Haines City (Florida). The company is now active in seven states – the original three already listed, as well as Oklahoma (Tulsa), Mississippi (Hattiesburg), Ohio (Circleville) and Pennsylvania (Philadelphia) where the company has its American headquarters. 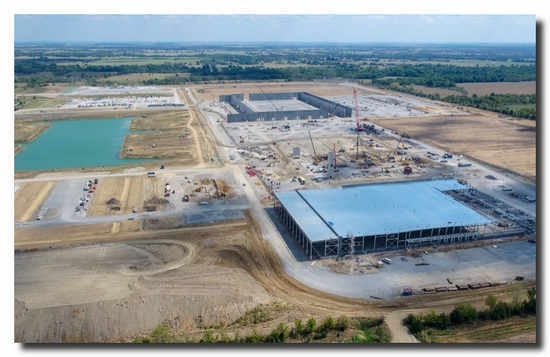 Furthermore, a new integrated plant is currently under construction in Oklahoma (Inola). Italian tissue paper manufacturer Sofidel has just opened a 280-acre plant, one of its most technologically and environmentally advanced paper plants in the world, with innovative machinery that increases both the quality of its products and the energy efficiency of its operations. The Circleville, Ohio, plant is Sofidel’s largest worldwide and its first integrated paper mill built from the ground up in the United States. Since expanding to the United States in 2012, Sofidel now has operations in seven states: Florida, Mississippi, Nevada, Ohio, Oklahoma, Pennsylvania and Wisconsin. “This is an historic moment for Sofidel,’’ said Emi Stefani, chairman of the Sofidel Group. “This facility is our largest, most modern and sustainable to date and employs the best technology available in the tissue paper industry.’’Sofidel has invested about $400 million in the site and, once running at full capacity, the facility will employ approximately 700 people. The plant is an integrated facility that incorporates a paper mill, where pulp is transformed into paper, a converting plant that produces the finished product, and a state-of-the-art warehousing facility. The plant has a total production capacity of 140,000 tons a year. The facility is equipped with two Advantage New Tissue Technology (NTT) 200 paper mill machines, manufactured by Valmet, a global leader in the development and supply of technologies for the pulp, paper and energy processing industries. Advantage NTT 200 technology allows the production of standard tissue and textured paper and will enable Sofidel to further increase the quality of its products, reduce water usage, and recycle heat to power driers and fuel the plant. Each machine can produce 2,000 meters of 5.5-meter-wide paper sheets per minute. The plant has 10 lines for producing the finished products, including three Constellation lines manufactured by Fabio Perini, with advanced reeling technology that preserves the product’s softness while ensuring uniform sheet separation from start to finish of every roll. The plant features a new system for recovering heat generated by turbines. The heat will be conveyed through extractor hoods and used to dry the rolls of paper, then produce steam. The system will supply almost all the energy needed to dry the paper and, under certain operating conditions, will power the entire machine. In addition, the plant has adapted techniques from the food and beverage industry to improve logistics. An automated system transfers paper reels from the paper mill to the converting lines using laser guided vehicles (LGVs). An automated Smart Store warehouse is capable of handling more than 50,000 pallets of finished product, creating a space savings of up to 40 percent. At the grand opening, Lazzareschi and Stefani were joined by Brian Lenihan, acting executive director of SelectUSA, and Kenny McDonald, president and chief economic officer for Columbus 2020. Sofidel clients and suppliers, federal, state and local officials, and other stakeholders also attended the event. The project was made possible through assistance from SelectUSA, JobsOhio, Columbus 2020, the Pickaway Progress Partnership and other public and private partnerships. The Sofidel Group is one of the leading manufacturers of paper for hygienic and domestic use worldwide. Established in 1966, the Group has subsidiaries in 13 countries – Italy, Spain, the UK, France, Belgium, Germany, Sweden, Poland, Hungary, Greece, Romania, Turkey and the USA - with more than 6,000 employees, net sales of 1,947 million USD (2017) and a production capacity of over one million tonnes per year (1,098,000 tonnes in 2017). “Regina”, its most well-known brand, is present on almost all the reference markets. Other brands include: Softis, Le Trèfle, Sopalin, Nouvelle, Thirst Pockets, KittenSoft, Nalys, Cosynel, Yumy, Soft & Easy, Volare, Onda, Lycke, Forest, Nicky, Papernet. A member of the UN Global Compact and the international WWF Climate Savers program, the Sofidel Group considers sustainability a strategic factor with regards to growth and is committed to promoting socially and environmentally responsible development. Valmet has signed a letter of award (LoA) with ARAUCO to supply key pulp mill technology including pulp drying and baling, a recovery boiler and a biomass boiler. This LoA is part of ARAUCO's MAPA project, a major investment to expand current production capacity and build a new pulp production line at the Arauco Mill located in the Bio Bío Region in Chile. The value of the anticipated delivery will not be disclosed. However, a project of this size and scope is typically valued at EUR 250-300 million. The order is expected to be included in Valmet's fourth quarter 2018 orders received. "With this project ARAUCO continues our long cooperation in the area of boilers and pulp drying. Our cooperation extends over 15 years of successful project deliveries," says Bertel Karlstedt, Business Line President, Pulp and Energy from Valmet. The delivery of the pulp drying and boilers is agreed to be done on EPS basis including plant engineering, procurement and supervision. The pulp drying line will have a daily capacity of 5,000 air dry tons (Adt). The recovery boiler will have a daily capacity of 6,300 tons dry solids (tDS). The biomass boiler features bubbling fluidized bed technology and has a capacity of 160 MWth. The modernization and extension of Arauco Mill, an initiative that involves a USD 2,350 million investment, is the largest investment in ARAUCO's history. The project includes a new pulp production line, line 3, with an annual capacity of 1,560,000 tons. The new line is estimated to start operation in 2021. ARAUCO is a global forest product company. The company operates in the forestry, pulp, lumber, plywood, composite panels, millwork, and renewable energy businesses. The company has a revenue of about USD 5 billion. The company operates altogether 42 sawmills, panel mills and pulp mills in North America, South America, Europe and South Africa. Resolute Forest Products Inc. (NYSE: RFP) (TSX: RFP) has just announced that it has entered into a definitive asset purchase agreement with New-Indy Containerboard, LLC ("New-Indy") for the sale of its Catawba, South Carolina, paper and pulp mill, for a total purchase price of about $300 million, consisting of $260 million in cash, subject to customary closing adjustments, and the assumption of approximately $40 million of balance sheet liabilities, largely net pension benefit obligations. Catawba's operation includes a kraft mill and a pulp dryer to produce market pulp, a thermomechanical pulp mill as well as a lightweight coated paper machine. The facility currently employs 460 people. Under the terms of the asset purchase agreement, New-Indy will offer employment to Catawba employees effective upon closing of the transaction, which is expected at or around year-end. The sale is subject to certain closing conditions. "This transaction will allow us to realize significant value for an asset whose greatest earnings potential lies with the investment in and diversification of the mill's operations, as proposed by New-Indy," stated Yves Laflamme, president and chief executive officer of Resolute. "We are pleased that the mill will continue to operate and benefit the local community, both economically and socially." Without the Catawba operation, we estimate that Resolute's operating income, excluding depreciation and amortization, for the 12 months ended June 30, 2018, would have been approximately $25 million, or 5%, lower. Including depreciation and amortization of $15 million, the operating income would have been about $10 million lower. These figures are not indicative of expected results for periods subsequent to June 30, 2018, particularly in light of recent price increases for market pulp and coated paper products. "We expect to use the proceeds from this asset sale to further reduce our net debt and improve shareholder value," added Laflamme. "We will continue to explore high-return strategic opportunities to grow our core businesses in line with our transformation strategy. Over the coming days, we will communicate with our customers to discuss the impact of the transaction and the transition of supply for their orders of lightweight coated paper and market pulp." New-Indy is an independent manufacturer and supplier of recycled containerboard to the corrugated box industry. The company was formed in 2012 as a joint venture by The Kraft Group, LLC and Schwarz Partners, LP. Headquartered in Ontario (California), New-Indy operates manufacturing facilities in Ontario and Oxnard (California), Peoria (Illinois) and Hartford City (Indiana), along with a recycling facility in Kendalville (Indiana). A.Celli Paper is pleased to announce the start of a series of supplies of the iDEAL® Forged_YD new generation Yankee. Specifically, in this case, we are talking about valuable collaboration with the Mexican customer Blue Tissue S.A.P.I. de C.V., sealed with an agreement for the supply of an iDEAL® Forged_YD – 16" new generation Yankee Cylinder for the Apizaco plant, in the district of Tlaxcala, Mexico. This extraordinary result is thanks to the investment strategy of A.Celli, aimed at increasing its influence in the tissue and paper sectors with the development of highly innovative technological solutions. iDEAL® forged YD is the new production technology conceived and patented by A.Celli Paper, characterised by a cylinder with a shell made from a single piece of steel that is shaped and worked with hot forging and rolling systems. The result is a highly innovative and seamless product that stands out for its exceptional quality of manufacture. The uniform material and the unique structure, free from processing stress, allow for greater variation in operating pressure and definitively eliminate the risk of breakage. 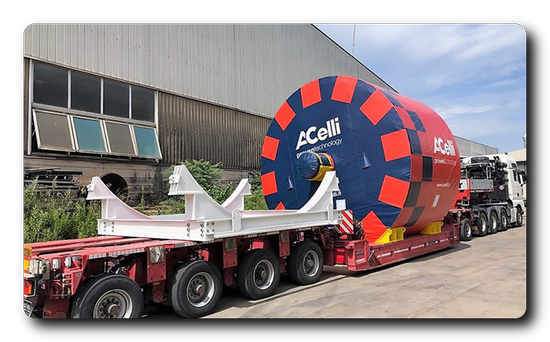 A.Celli Paper iDEAL® forged YD: the future of Steel Yankee Dryers! Clearwater Paper Corporation (NYSE: CLW) has just announced a key divisional executive appointment. Effective October 1, 2018, Steve Bowden is named senior vice president and general manager of the pulp and paperboard division. Before joining Clearwater Paper, Mr. Bowden was the president of the America’s food and beverage division for Multi-Color. He also held key leadership roles at International Paper, including the executive vice president of marketing and strategy for xpedx, formally an International Paper division, and mill manager for the company’s Augusta, Georgia, coated paperboard facility. Mr. Bowden received his Bachelor of Science in Chemical Engineering from Auburn University and completed executive programs at Louisiana State University and the Kellogg School of Management at Northwestern University. Clearwater Paper manufactures quality consumer tissue, away-from-home tissue, parent roll tissue, bleached paperboard and pulp at manufacturing facilities across the nation. The company is a premier supplier of private label tissue to major retailers and wholesale distributors, including grocery, drug, mass merchants and discount stores. In addition, the company produces bleached paperboard used by quality-conscious printers and packaging converters, and offers services that include custom sheeting, slitting and cutting. Clearwater Paper's employees build shareholder value by developing strong customer partnerships through quality and service. Valmet's roll service center in Neenah, Wisconsin, provides modular maintenance solutions such as roll maintenance services, roll reconditioning services and roll upgrades for all type of rolls - now also for spreader rolls. The Neenah facility also provides a wide selection of roll covers to produce end quality that meets paper makers' every need. Verso Corporation has just announced the launch of three new label papers, OptiLabel™ HB, OptiLitho™ C1S and OptiPrime™ Inkjet WS, further expanding its specialty label paper portfolio, the largest in North America. "We are pleased to be launching three new innovative label products for pressure sensitive, label and converting, and inkjet food contact applications to satisfy the growing needs of our specialty paper customers," said Verso President of Graphic Papers Mike Weinhold. "We are very proud to be featuring these new products for the first time at Labelexpo Americas in Chicago next week." Verso's OptiLabel™ HB family of general purpose pressure sensitive face stock papers expands with the addition of a new 58 lb. (3300 ft2 / 86 gsm) basis weight offering that is optimized for laminating, label printing, die cutting and high speed label application processes. The OptiLabel™ HB family is also offered in a 53 lb. (3300 ft2 / 78 gsm) basis weight and is designed for high-end, pressure sensitive label applications requiring premium label appearance and high strength for matrix stripping and runnability. Ideal for flexographic printing, OptiLabel™ HB features premium brightness and an enhanced blue-white shade, combined with high opacity and a semi-gloss finish. OptiLitho™ C1S is a new family of C1S glue-applied cut and stack label papers for label and converting applications. OptiLitho™ C1S is offered in 55 lb. (3300 ft2 / 81 gsm) and 60 lb. (3300 ft2 / 89 gsm) and features a smooth surface, excellent ink holdout for offset, flexographic and rotogravure printing, and is designed to perform in demanding and unique printing and converting applications. OptiPrime™ Inkjet WS joins the OptiPrime™ family of specialty pressure sensitive label papers for emerging label printing technologies and is offered in 42 lb. (3300 ft2 / 62 gsm) and 38 lb. (3000 ft2 / 62 gsm). 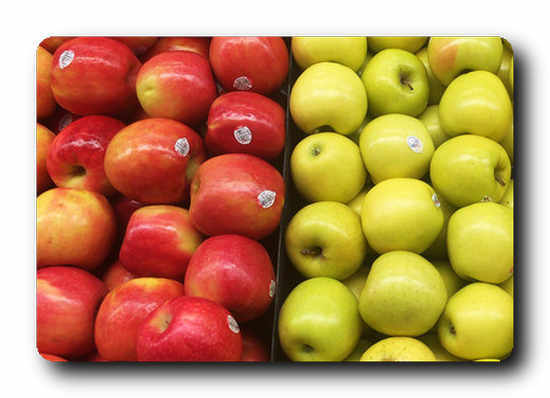 OptiPrime™ Inkjet WS is a wet strength label paper designed for premium aqueous inkjet and flexographic direct food contact pressure sensitive label applications requiring wet strength performance for better durability in higher moisture environments. OptiPrime™ Inkjet WS has high strength for fast die cutting, matrix stripping and runnability along with a high brightness, high opacity and premium blue-white shade. "OptiLabel™ HB and OptiLitho™ C1S products are made on the No. 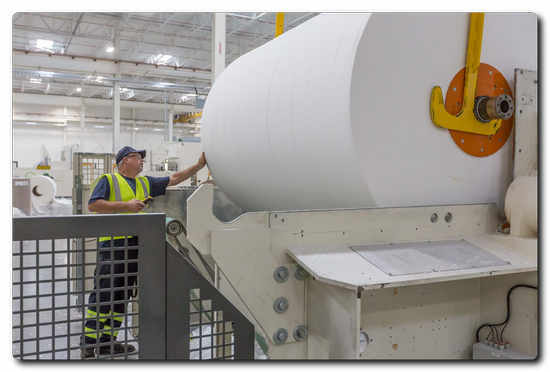 3 paper machine known for making high quality release liner and label papers at Verso's Escanaba Mill in Michigan, a fully integrated pulp and paper manufacturing facility," said Verso Vice President and General Manager of Specialty Papers Ed Buehler. "OptiPrime™ Inkjet WS is produced at Verso's Stevens Point Mill in Wisconsin, North America's largest state-of-the-art specialty paper mill." 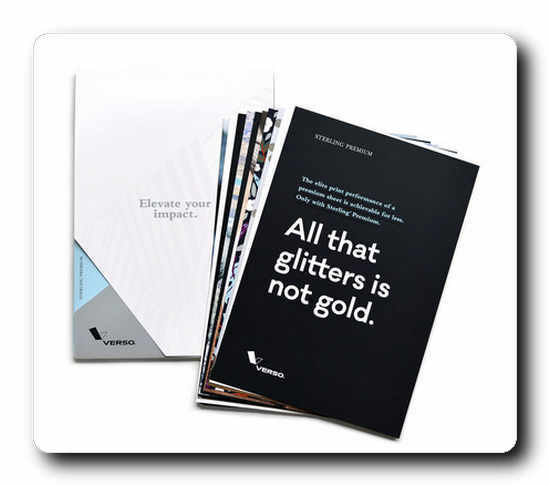 These new offerings join Verso's label paper portfolio which includes Aspect®, Sterling®, OptiTherm™, UniTherm™, DuraPoint, ProPoint, OmniPoint, LithoPoint, EcoPoint and CraftPoint™ - the most comprehensive label paper portfolio produced in North America. WestRock Company (NYSE: WRK), a leading provider of differentiated paper and packaging solutions, has just provided an update following the landfall of Hurricane Florence. We are pleased that we have had no reported employee injuries and do not believe we have suffered any material physical damage to our facilities during the recent storm. We are working to restore normal operations at our facilities in the impacted region. We idled our kraft linerboard mill in Florence, South Carolina, in the middle of last week in advance of the landfall of Hurricane Florence. Yesterday, two of the three paper machines at the mill resumed operations, and we expect normal operations to resume after the transportation network in the region returns to normal. WestRock operates an extensive network of mill and converting facilities in South Carolina, North Carolina and Virginia that were in the storm’s potential path. We incurred incremental costs in preparing these facilities and moving inventory, finished product and critical supplies in advance of the storm. With flooding expected across the region, we may have additional increased input and operational costs and issues in our supply chain, as well as experience negative impact from disruptions at our customers’ locations. We expect to provide an estimate as to the impact on our business and financial results later this month. Neenah announces the release of The Design Collection, a newly refreshed portfolio of high-end, specialty papers for print communication and luxe packaging. The Design Collection now includes new brands, new colors and has been re-imagined as a three-part portfolio, curated by paper attribute. The Design Collection is an international portfolio of 22 brands, 100+ colors and 15+ textures, inspired by Italy’s top fashion houses and America’s leading designers. “With so many items now in The Design Collection, it became necessary to completely reimagine the way the papers were presented to the market,” said Auburne Gahlman, Brand Manager. "We brought Design Army on board to help us think through possibilities. Their charge was to create a pathway to enable designers to more quickly and intuitively experience this growing range of papers." Design Army started the process by reimaging how designers specify paper. “We broke the portfolio down then built it back up, exploring different ways to 'create sensation' with paper,” said Pum Lefebure, Co-Founder & Chief Creative Officer, Design Army. Ultimately, three paths were selected: 1) the visual sensation of pearlized, shimmery papers; 2) the subtle sensation created by a super-soft touch material; 3) and, the textural sensation created through a highly tactile surface. The Design Collection is now re-presented in three-parts, organized by optics and touch. “Curating the papers in this new way will make it easier for designers to start with the feeling they wish to elicit in each of their designs,” said Lefebure. These are the papers and substrates that shimmer. “In this collection, designers get a full spectrum of iridescent papers including translucent and velvety glows,” said Gahlman. New STARDREAM 2.0 Papers introduces five sparkling new colors into the Pearlized portfolio: Eris, Pluto, Neptune, Saturn and Venus. These are the papers with an extraordinary, high touch factor. “When you touch these papers, they feel like something you already know, something that’s instantly familiar to you like a rose petal, a leather jacket or a smooth plastic. Soft touch papers are ideal for high end collateral and packaging,” said Gahlman. New LEATHERLIKE® Papers are inspired by the fashion industry. Gahlman said, “These papers are just like their namesake, soft, rich, velvety. Think leather handbag or custom Italian shoes.” This new line is available in a natural-looking White, a chocolaty Brown, and a deep Black. If texture is the first thing that comes to mind, take a look at this collection. “There’s nothing delicate about these papers. They’re strong, organic…almost masculine. These are the papers that command attention through touch,” said Gahlman. New REEF® Papers are a unique brand that feels like the touch of fine sand. This highly tactile, yet refined new surface is available in a beachy White and midnight sky Black. 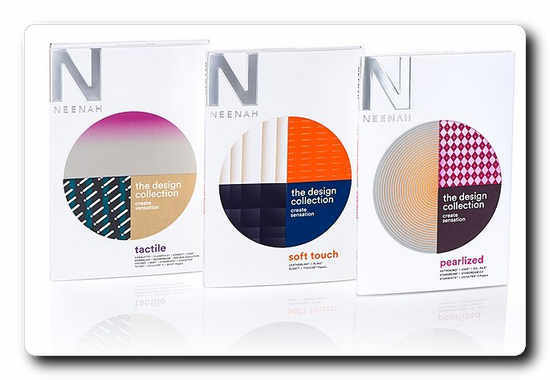 Contact your local Neenah sales representative to get The Design Collection swatchbook set. International Paper have just announced the retirement of C. Cato Ealy, senior vice president, Corporate Development after 26 years with the company. His retirement will be effective December 31, 2018. Mr. Ealy joined the company in 1992 as director of Corporate Development. In June 1996, he was promoted to vice president and was elected as a senior vice president in June 2003. Mr. Ealy has been responsible for the company's acquisitions and divestitures. Most notably, he played a key role in developing and executing the company's transformation plan, which included significant divestitures and several important acquisitions transforming International Paper into a leading global packaging, pulp and paper company. "Cato has been a key contributor to the success of International Paper for nearly three decades helping to make IP a more sustainable and profitable company," said Mark S. Sutton, chairman and CEO. "All of us wish him the very best in retirement." Toscotec has revealed plans to expand its tissue and paper & board businesses in Brazil. Toscotec announced that Ricardo Domingues has joined the group as Sales Manager of the Brazilian market, both for tissue and paper & board. Toscotec is set to consolidate its market position with the support of Domingues, who brings over 20 years of experience in the tissue and paper industry in Brazil. 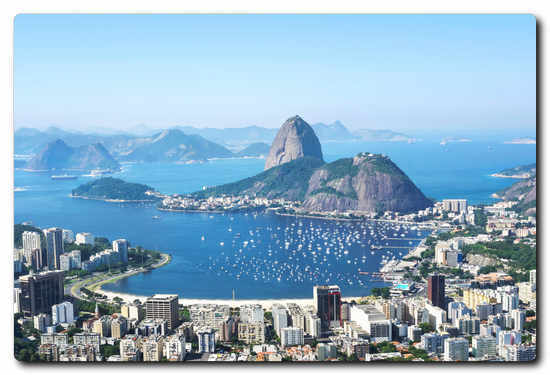 Thanks to Domingues’ international expertise in design, sales and services, Toscotec is taking a new step in growing its customer base in Brazil. Resolute Forest Products Inc. has just announced that it has entered into a definitive asset purchase agreement with ND Paper LLC, a subsidiary of Nine Dragons Paper (Holdings) Limited ("Nine Dragons"), for the sale of its Fairmont, West Virginia, recycled bleached kraft pulp mill, for $55 million plus certain elements of working capital, payable in cash. BMO Capital Markets is acting as Resolute's financial advisor on the transaction. Davies Ward Phillips & Vineberg LLP and Jackson Kelly PLLC are acting as Resolute's legal counsels. Just two months after announcing plans to replace its current, 71-year-old Green Bay Paper Mill, leaders from Green Bay Packaging Inc. formally broke ground on constructing the first new paper mill in the State of Wisconsin in over 30 years. Wisconsin Governor Scott Walker, City of Green Bay Mayor Jim Schmitt, and Brown County Executive Troy Streckenbach joined the company to mark the beginning of the largest business development project in the history of Brown County, Wisconsin. The $500-plus million investment will have a profound positive impact on Northeast Wisconsin’s economy and the environment. “The new Green Bay Mill will preserve more than 1,100 Green Bay Packaging jobs across Brown County, position the company to grow its local workforce, significantly increase our production and product quality capabilities, and benefit the entire regional supply chain, all while operating as one of the most environmentally sustainable paper mills in the world,” added Matt Szymanski, Vice President of Mill Operations. Green Bay Packaging is not only furthering its commitment to Northeast Wisconsin by making this long-term investment in Green Bay, but by also partnering with local companies to design and construct the facility and install its equipment. Neenah-based Miron Construction has been selected as the general contractor to construct the new mill. The design and construction of the mill will create 1,000 additional construction jobs and require approximately 1.5 million labor hours. Green Bay Packaging has also contracted with Voith, whose North American headquarters is in Appleton, to install a new paper machine showcasing cutting edge technology and to serve as the single full line supplier for all corresponding papermaking equipment. “The deep and talented workforce that Northeast Wisconsin offers across the skilled trades made it an easy decision to partner with local companies to construct this historic project. Our goal throughout this process was to make the best decision for not only Green Bay Packaging, but for Brown County and the entire State of Wisconsin. We wanted to make it clear that Green Bay Packaging is here to stay,” said Bryan Hollenbach, Executive Vice President of Green Bay Packaging. The new Green Bay Mill is expected to be fully operational in the spring of 2021. The current mill will continue to operate at full capacity throughout the entire construction process. Toscotec North America, Inc. Green Bay, WI and Toscotec S.p.A. Lucca, Italy announced that John Holton has joined the group as Technical Support and Service Coordinator for North America. Holton comes to Toscotec with over 30 years of Tissue Industry experience and will assist Toscotec’s growing customer base in North America. Holton is a 30 Year TAPPI Member active at the Committee Level and past presenter and contributor to Tissue World Exhibitions in both the US and Europe. Toscotec will supply a new MODULO-PLUS tissue line to Celupaper S.A. of the leading South American group Grupo Vual, based in Argentina. The MODULO-PLUS machine - PM5 - is scheduled for delivery in autumn 2019 and it will be installed at Papelera Nicaragua mill. The MODULO-PLUS has a daily production of 65 tpd and is equipped with TT SuctionPressRoll, TT SYD-3200MM and TT Milltech-MGYH Multigen hoods. The scope of supply also includes the approach flow system, the steam and condensate system and the machine and distribution control system. PM5 is the fourth repeated order awarded by Celupaper to Toscotec in 4 years. The Italian manufacturer had previously supplied a major rebuild on PM2 in 2015, then a MODULO machine - PM3 - in 2016 and finally PM4, a MODULO-PLUS line, which started up in mid-July 2018. Toscotec’s Area Sales Manager Gabriele Romanini said, “The fact that Celupaper chose to work again with us on their PM5 project is an exciting challenge to exceed their expectations on productivity and energy reduction. Our TT DOES (Drying Optimization for Energy Saving) package, in combination with our Multigen Hood in cogeneration mode, is the core of this effort. We are currently working on the engineering, where the design of our system will integrate into the mill’s cogeneration plant with a gas turbine. Back in 2011, our Energy and Environment department won the PPI Efficiency Improvements of the Year Award with the Spanish producer L.C. Paper 1881 SA, for the effective integration of the tissue machine’s hood system with the cogeneration facility. Drawing on that experience, we expect to achieve substantial energy recovery and very interesting cuts on the machine operating costs”. Mario Speranza, CEO of Celupaper S.A. commented on the order, “We invest in leading-edge technology to step up our growth in the high-quality tissue market in South America. Toscotec’s tailor-made design has once again provided us with the flexibility and competitive advantage we need to succeed. We knew that Toscotec had significant experience with cogeneration plants and therefore we have great expectations for the performance and consumption of PM5”. 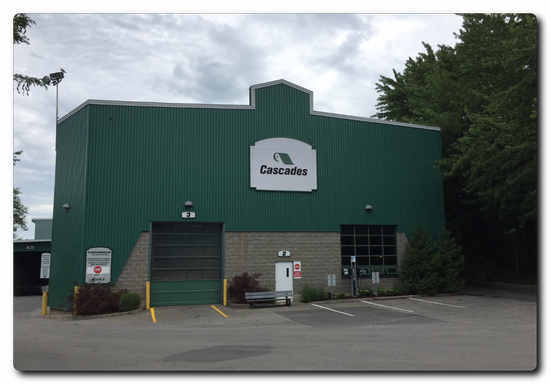 Cascades Packaging selected Toscotec for the supply of TTSteelDryers to be installed at its Cabano mill in Canada. This is a repeated order, following a previous order by Cascades Packaging for a major dryer section rebuild at Kingsey Falls mill. 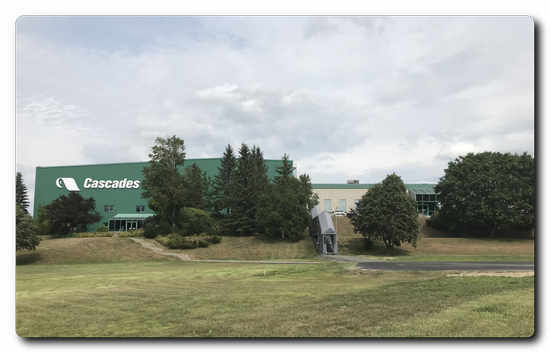 Cascades Packaging confirmed its trust in Toscotec, as the right partner to achieve its strategic objectives of paper machine optimization. On this project, Toscotec will supply seven TTSteelDryers for the first dryer section, specifically designed for an operating steam pressure of up to 11 barg. The new steel drying cylinders will allow a boost of production and an increase in sheet width at the beginning of the dryer section. Thanks to their reduced shell thickness, TTSteelDryers feature a higher heat transfer rate, compared with cast iron dryers. Since the thermal conductivity of steel and cast iron is similar in the range of operating temperatures, steel dryers with thinner shells offer a higher drying capacity. The scope of supply also includes erection supervision, commissioning and start-up assistance. Toscotec thus further strengthens its partnership with the Cascades Group in North America. With this new reference, the Italian supplier also reinforces its leadership with respect to the design and upgrade of the dryer section of paper machines. Delivery is expected for mid-November 2018. WestRock Company, a leading provider of differentiated paper and packaging solutions, has just announced that it has entered into an agreement to acquire Schlüter Print Pharma Packaging, a German-based supplier of a full range of leaflets and booklets. Schlüter will become part of WestRock’s Multi Packaging Solutions business. Domtar Corporation has just announced leadership transitions for two fluff pulp producing mills, in Plymouth, North Carolina and Ashdown, Arkansas. Both mills are getting new, exceptionally qualified leaders as 40-year pulp and paper industry veteran, Bob Grygotis, prepares to retire as the General Manager at Ashdown on Sept. 1. Allan Bohn, manager of Domtar's Plymouth Mill, will move to Ashdown, replacing Gryotis. Everick Spence, who currently works in the Fort Mill headquarters office as director of Continuous Improvement, is being promoted to replace Bohn as Plymouth Mill manager. Both Bohn and Spence will report to Steve Makris, Pulp business vice president, effective Sept. 1. “It is hard to say goodbye to a leader who is so highly regarded and brings so much experience to the operation of Ashdown, our largest mill. However, after more than 40 years in the pulp and paper industry, Bob deserves the opportunity to return with his family to their home in Kingsport, Tennessee,” said Domtar CEO and President, John D. Williams. President of Domtar’s Pulp & Paper division, Mike Garcia, is charging Allan with continuing Grygotis' success at ramping up fluff pulp production at the Ashdown Mill and getting the product qualified with customers. According to Garcia, operations at the Plymouth mill will not miss a beat when Bohn heads to Ashdown, since Spence will be replacing Bohn. Valmet has been chosen as the supplier of a complete tissue production line by CMPC Tissue S.A. The tissue line will be installed at CMPC's Zarate mill in Argentina. The new production line is planned to be started up in the fourth quarter of 2019, and it will add over 50,000 tons of high quality toilet and towel grades to the company's annual production. Valmet has previously delivered a Valmet Advantage DCT200 tissue line to the Talagante mill in Chile, a tissue machine to Altamira in Mexico and an Advantage ViscoNip rebuild to CMPC's Caieiras mill in Brazil. The value of the order will not be disclosed. The order was included in Valmet's second quarter 2018 orders received. "Our experience of running the Advantage DCT concept has been very good in terms of energy efficiency, production capacity and tissue quality. We are convinced that the new tissue line will support our market leading position in Argentina," says Pedro Muzzio Castelletto, Corporate Development Manager, Industrial & Supply Chain, CMPC Tissue. "The Latin American tissue market is growing both in respect of capacity and quality. Valmet has the tissue making technologies to meet current and future demands of the market," says Johan Björn, Sales Director, Valmet. "We are very pleased that CMPC chose us as their supplier and selected Valmet's Advantage tissue technology to increase their current production in means of quality and capacity." 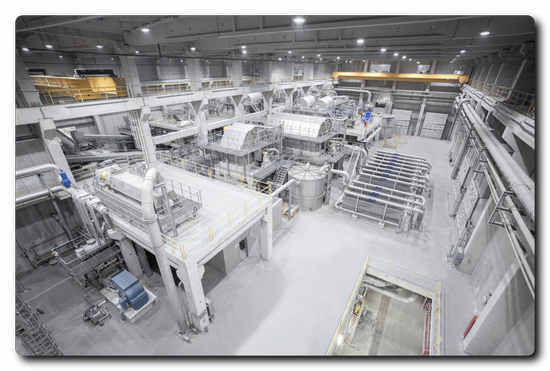 Valmet's delivery will comprise of a complete Advantage DCT200 tissue production line with stock preparation equipment and tissue machine including the most advanced technology options focused on a superior consistent quality, an energy and water efficient operation and cost competitive manufacturing setup. The scope will also include control systems, electrification, mill engineering as well as installation. The production line will be optimized to enhance final product quality and reduce energy consumption. The raw material for the new line will be virgin and DIP pulp. CMPC is one of the leading pulp and paper companies in Latin America with operations in the fields of forestry products, wood pulp, paper and tissue. CMPC runs 23 tissue machines in seven countries with an annual production capacity of 700,000 tonnes of tissue products for the Latin American consumer and away from home market. Voith recently reached a deal with Copamex of Monterrey, México, for the installation of a BlueLine stock preparation system at their mill in Anáhuac, which is being converted to drive Copamex’s growth into the containerboard and packaging markets in México. 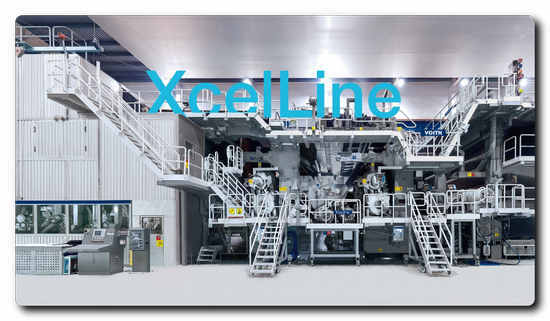 Previously, Copamex focused on printing and writing grade paper, but the new BlueLine stock preparation system from Voith is a key step in their expansion plans. The system will utilize a variety of raw material including Old Corrugated Containers (OCC) and mixed waste. With its BlueLine Portfolio Voith is a full-line supplier of stock preparation components. As the a full-line supplier, Voith and MERI will be providing Copamex with all of the elements of the stock preparation system, including reliable material handling with automatic wire cutting, reject compactors, sludge handling, water clarification and effluent treatment. Realizing the project different steps have been taken to limit energy and water consumption, as well as making waste management improvements. When the new stock preparation system starts up in early 2019, the mill will output 260,000 metric tons of testliner and corrugated medium per year for use in containerboard production. 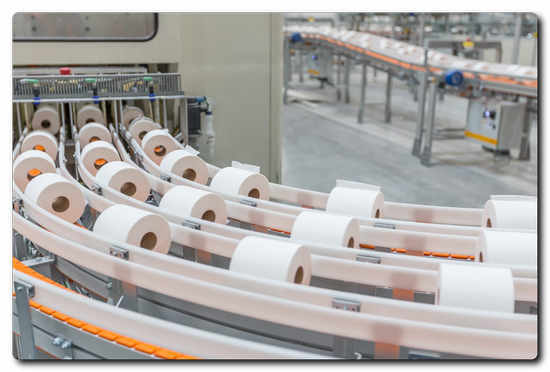 Valmet will supply an Advantage DCT100HS tissue production line, including an extensive automation package, to Papelera San Andrés de Giles in Argentina. The new tissue line will fulfill Papelera San Andrés de Giles' demand of new capacity of high quality tissue products for the Argentinian market. Start-up is planned for the second half of 2018. The order was included in Valmet's second quarter of 2018 orders received. The value of the order will not be disclosed. "Our first contact with Valmet was at their Tissue Making Conference in Karlstad, Sweden in 2012. Since that moment, we have been convinced that Valmet's technology is what we need to differentiate and keep our position as a frontrunner in the Argentinian tissue market," says Mr. Sebastian Schiaffino, Plant Manager, Papelera San Andrés de Giles. "Even more important is to work with skilled people within Valmet. This is a long-term partnership for us. Valmet has met, and exceeded, all expectations as an advisor during our cooperation," Mr. Schiaffino continues. "This newfound relationship means a lot for Valmet. This will be the first running Advantage DCT tissue machine in Argentina," says Kent Nika, Sales Manager at Valmet. "Not only does this mean breaking ground in Argentina, but we are also excited to welcome Papelera San Andrés de Giles to our ever-growing tissue community. And of course, we are very proud that our capability to supply tissue mill equipment with superior technology, e.g. Advantage ViscoNip press, were considered as important success factors in their expansion plans." Both companies are now looking forward to step in to the future with a shared aim of realizing Papelera San Andres de Gilés' expansion plans and ambitions of providing high quality products to their customers. The new tissue machine will have a width of 2.8 meters and a design speed of 2,000 meters/minute. It will add 35,000 tons of tissue paper per year to Papelera San Andrés de Giles' current production of high-quality facial, toilet tissue and kitchen towels. Valmet's scope of delivery will comprise of a tissue production line featuring stock preparation systems and an Advantage DCT100HS tissue machine. The machine is equipped with OptiFlo headbox and Valmet steel Yankee cylinder as well as the Advantage technology including ViscoNip press, AirCap hood, WetDust dust system and SoftReel reel. The delivery also includes an extensive automation package with Valmet DNA, process controls, tissue line training simulator and Valmet IQ quality controls. Engineering, supervision, training, start-up and commissioning is also included in the delivery. Papelera San Andrés de Giles today has an annual production capacity of 20,000 tons of tissue for facial, toilet, kitchen, towel and napkin for the Argentinian market and surrounding region. The highly modern tissue mill, with its converting lines, is situated in the Buenos Aires province and has 150 employees. Cascades Packaging entrusted Toscotec with a major rebuild of the dryer section of PM1 at Kingsey Falls mill, Canada. In view of the challenging targets of the project, Cascades decided that Toscotec’s technology was the right match for this rebuild, thanks to the flexibility and high level of customization guaranteed by the Italian supplier with regards to the seamless integration between the existing equipment and the new tailor-made solution. Toscotec’s rebuild will achieve an 8% production increase. The Italian supplier will accomplish this substantial upgrade without increasing the overall length of the dryer section and without increasing the actual width of the dryers’ frame in cross direction. Toscotec’s TTSteelDryer allows better performances in terms of specific evaporation rate, thanks to its reduced shell thickness. Due to its shorter taper length, TT SteelDryer dries a wider sheet with the same space requirements of a traditional dryer section. The scope of supply includes a number of TTSteelDryers, specifically designed for an operating steam pressure of 14 barg, as well as doctors, wire tensioning system, guiding and sheet stabilizing components. Toscotec’s service specialists will also provide supervision, commissioning and start-up assistance. 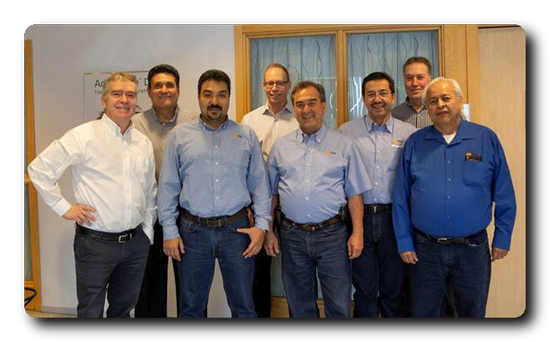 With this new contract, Toscotec strengthens its reputation as a top P&B machinery supplier on technically demanding markets such as North America. 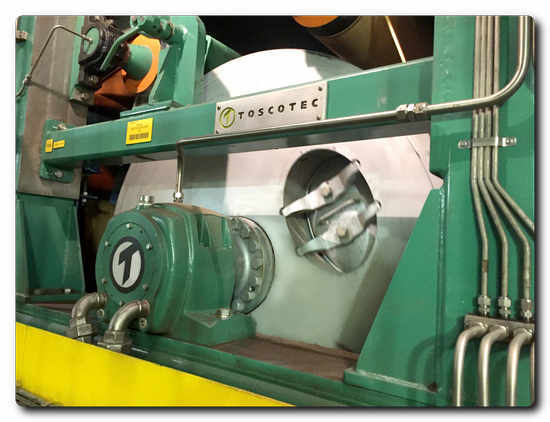 In particular, through its proven ability to supply all-round tailor-made solutions based on the specific features of the existing equipment and to deliver significant upgrades, over the years Toscotec gained the trust of major papermaking producers across the globe. Delivery is forecast within the end of August 2018. Citing Voith capabilities and technology leadership, Green Bay Packaging has announced a landmark contract award that tasks Voith with providing a complete packaging production line. The new PM 4 will be installed at Green Bay Packaging’s location in Green Bay, Wisconsin, USA. 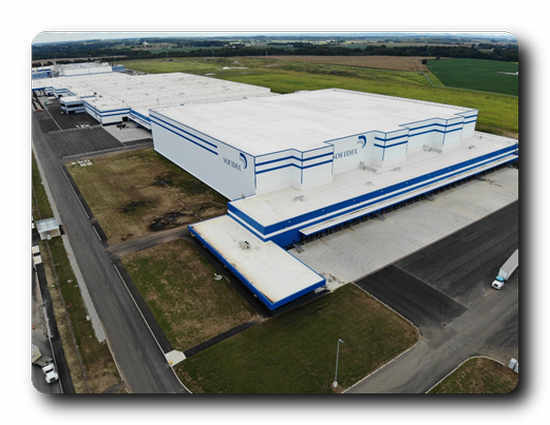 The family-owned paper and packaging producer Green Bay Packaging awarded Voith an order for a 300 inch (7.62 m) wide production line for testliner. The order includes an effluent treatment plant, BlueLine stock preparation, WEP, XcelLine paper machine with a design speed of 3,940 ft/min (1,200 m/min) and a VariFlex Performance winder. The package also includes paper machine clothing, a seven-year Total Roll Management contract for several machines, and Papermaking 4.0 products. “Voith is proud of this historic project, and we are eager to continue our strong partnership with Green Bay Packaging,” said Martin Jauch, President Business Line Projects, Voith Paper North America. The contract is of a breadth and scope previously unseen in the United States papermaking industry as a complete mill order has never before been sourced from a single manufacturer. Voith is the region’s only manufacturer capable of providing components for such a complete installation. The construction of the mill will be handled by Miron Construction Co, Inc., while KSH will supply the engineering, targeting a start-up in early 2021. Verso Corporation (NYSE: VRS) has just announced that it will make strategic investments in its Androscoggin Mill in Jay, Maine, focused on technology upgrades that will increase the release liner paper capacity of its No. 4 paper machine. Made over the next 18 months, these investments will better position Verso to meet the growing needs of pressure sensitive laminators worldwide. "The Androscoggin Mill and its No. 4 paper machine have a rich history of manufacturing specialty products," said Verso's President of Graphic Papers Mike Weinhold. "When enhanced with these technology upgrades, the No. 4 paper machine's six-meter width, technical capabilities and fully integrated pulp platform will be particularly well suited to support the growing release liner market. Additionally, these investments advance Verso's strategy to reposition 100 percent of the Androscoggin Mill's production to serve specialty paper and packaging markets." The investments will be spread across two project phases which include technology upgrades in pulping and refining systems, stock flow piping and paper winding capabilities. The first project phase is scheduled for completion in the third quarter of 2018 with completion of the second project phase expected in 2019. Verso's release liner and pressure sensitive label paper portfolio includes over 60 highly engineered paper grades made across four Verso U.S. mills. Verso specialty papers are shipped worldwide and backed by an unmatched level of technical and customer service. Celupaper S.A. successfully started up PM4, a new MODULO-PLUS tissue machine supplied by Toscotec, at its Papelera Nicaragua mill, Argentina. The tissue machine started producing sellable paper immediately after start-up and is scheduled to reach the target speed in the following weeks, after careful fine-tuning. The new MODULO-PLUS produces 65 tpd and it features a single layer TT Headbox, TT SuctionPressRoll, TT SYD-3200MM, TT Milltech-MYH monosystem gas-fired hoods. The scope of supply also includes the approach flow system, the electrification & control system, training, erection supervision, commissioning and start-up assistance. PM4 is part of a series of repeated orders awarded to Toscotec by the leading South American tissue producer. In 2015, the Italian manufacturer carried out the rebuilding of PM2, an existing Fourdrinier machine, and supplied a new steel Yankee dryer TT SYD-2500MM and the complete steam and condensate system. In 2016, Toscotec supplied PM3, a complete MODULO tissue line. Mario Speranza, CEO of Celupaper S.A. says, “Thanks to the continued production increase implemented with Toscotec’s plants, we have grown significantly in the South American market. Since 2015, we boosted production by over 100 tpd. Tissue quality, machine efficiency and energy reduction are our key standards of investments in new equipment. Throughout 4 years of close partnership with Toscotec, we have achieved good results with respect to all of these aspects and have continuously improved such results”. “PM4 project evinced once again the excellent cooperation we have with Celupaper. With every new project, we aim to improve their performances. We worked intensively together on the reduction of energy consumption, starting from the design, with our TT DOES solution (Drying Optimization for Energy Savings) all the way to the fine-tuning of the plants at the mill site. On PM4, we also optimized the layout of the electrical and auxiliary plants, to guarantee better access for the operators to the different areas of the machine" commented Toscotec’s Project Manager Pier Paolo Brunazzi.